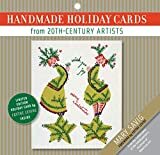 The introduction by archives specialist Mary Savig explores the intersections between commercial holiday cards and the art world--how holiday cards were first marketed as "affordable art" and how selling their art to card companies often provided income for artists in lean times. She then opens up the more intimate dimensions of an artist's social network, illuminating their relationships with dealers, curators, teachers, and close friends. Captions introduce each artist, compare or contrast the holiday card to his/her body of work, and discuss the relationship to the recipient when relevant. Creative Cards is a how-to guide to turning plain paper into personalized and unique gift cards, boxes, bags, tags, and wrapping paper. 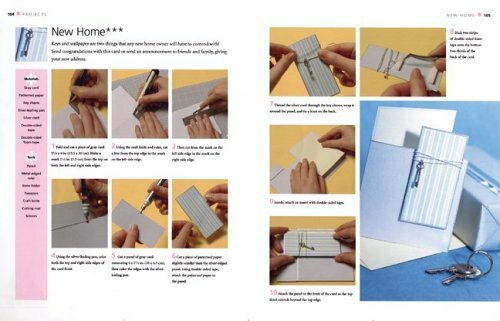 The book shows how to transform plain paper into something special, and how to wrap a gift for a beautiful presentation. The techniques section explains all the basics, such as using a bone folder, embellishing edges, choosing the right adhesive, working with 3-D decorations, stamping, gilding, die-cutting, and folding, with lots of how-to photographs. Projects are suited to making a single card or large quantities, and are coded to indicate how long they may take to complete. Tip boxes offer handy pointers and there are ready-to-use templates at the back of the book plus a section on choosing and laying out text on a computer. Crafters will love creating decorated paper, as beautiful as any found in art shops, with this stunning book. It contains a treasury of ideas that includes a selection of 9 projects. These techniques will work on any paper surface, from artist books and journals to greeting cards, collages and more. Create decorated paper as beautiful as any found in an art store and with more distinctive and personal patterns, too. Alisa Golden's methods of applying inks and paints to paper can dramatically alter the appearance of finished works. From artist books and journals to greeting cards, collages and more, these techniques work on any paper surface and give numerous new skills to the crafter. Create dramatic effects using gesso, acrylic inks, watercolour paints, stamps, stencils and more. From basic patterning to paste paper frottage, plus a selection of nine projects, this book is a treasury of ideas. 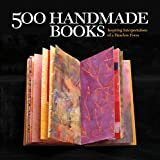 Interest in bookbinding and the related arts has exploded in the past decade, inspiring artists to explore the unlimited possibilities of the form -- and delighting collectors, crafters, and gallery owners. Lark's Cover to Cover has been a bestseller for more than ten years, and this new and provocative on-the-page gallery, richly illustrated with hundreds of breathtaking photographs, will appeal to that same large and discerning audience. They'll appreciate the artistry of a finely tooled leather cover, embellished with traditional gold-leaf lettering; the intricacy of an exotic Ethiopian binding with a show-stopping open spine; and others that resemble mysterious puzzle boxes, or that curl, hang, and swirl. The sublimely talented contributors all put their finest work on display: Jeanne Germani's Cloudspeak showcases her own handmade papers, made from such varied materials as recycled denim, thistle, and other plant matter. Chris Bivin's codex-style volume features curious, tiny, found objects. One of Laura Wait's untitled pieces utilizes a handsome raised-cord binding to connect a pair of stained-cedar covers with abstract aluminum letterforms attached. Full story : 500 Handmade Books: juried by the esteemed Steve Miller.